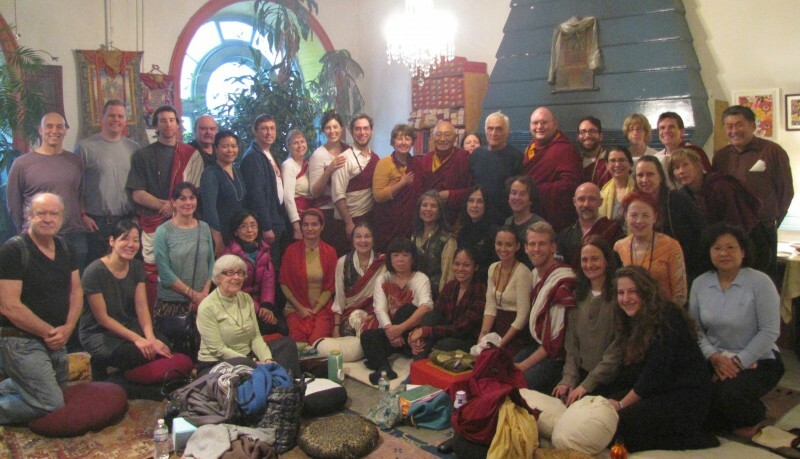 « NYC New Years Eve Dakini Puja of H.H. Dudjom Rinpoche’s Khandro Thugtik with Ven. Khenpo Tsewang Rinpoche! Join Ven. Khenpo Tsewang Rinpoche and the PBC Sangha for the 31st Annual Vajrasattva & Vajrakilaya PBC New Year’s Practice! Let’s begin the New Year’s practice with Vajrasattva and Vajrakilaya! For 32 years this is one of the very special practices that we have been able to do in New York City through the open kindness of John Giorno. This Vajrasattva fire puja practice mainly focuses on pacifying negativities and obstacles while increasing prosperity, joy, longevity, peace, and realization. It is a terma of Terdak Lingpa. Vajrakilaya is the embodiment of all the buddhas’ activities and is one of the most famous practices of the Nyingma school. Practicing on Vajrakilaya removes our obstacles, eases the flow of Dharma activity, and reveals the Buddha nature. Daily practice of Vajrakilaya is suggested as it is very powerful. Practice on special occasions is also very beneficial.